Continuing Slow Robot's occasional series of supplements to the epic superhero slam-jam. 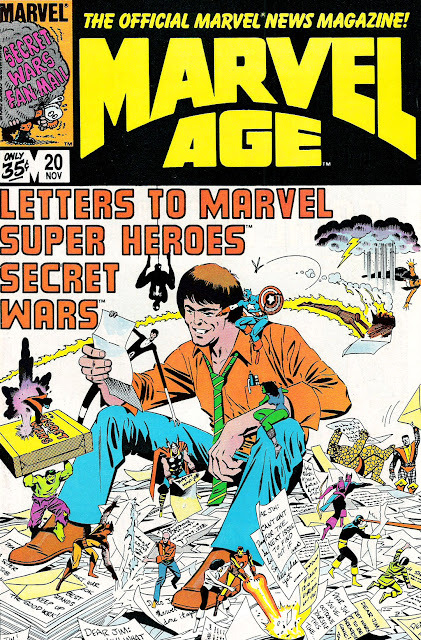 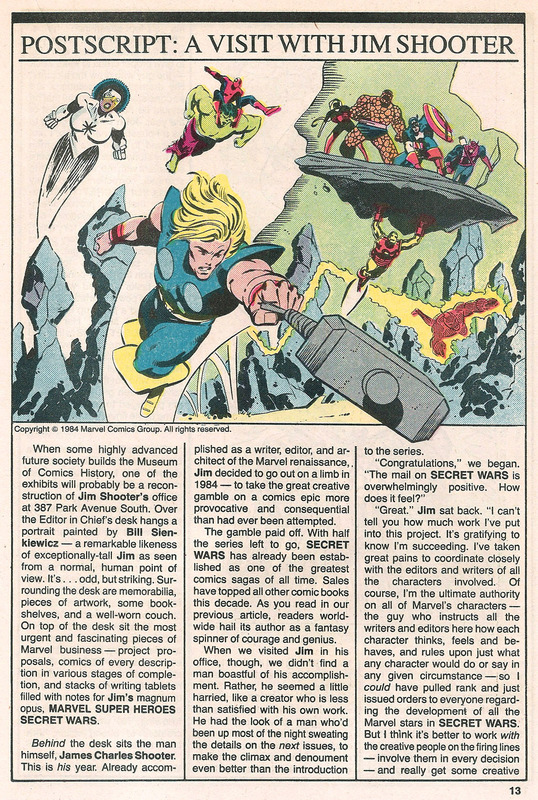 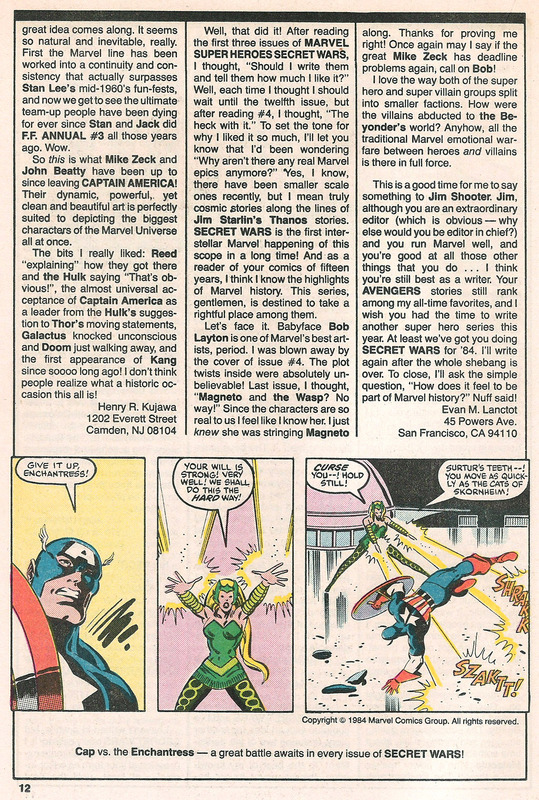 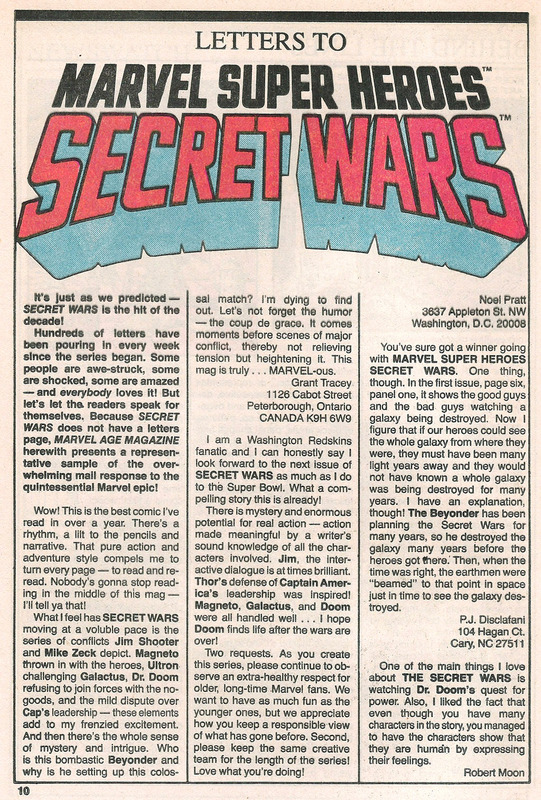 As mentioned in previous entries, the new trade paperback edition of (MARVEL SUPERHERO) SECRET WARS includes the MARVEL AGE MAGAZINE article that accompanied the launch of the limited series. 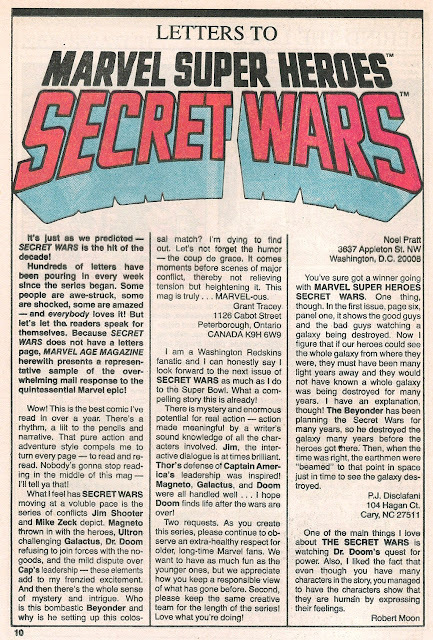 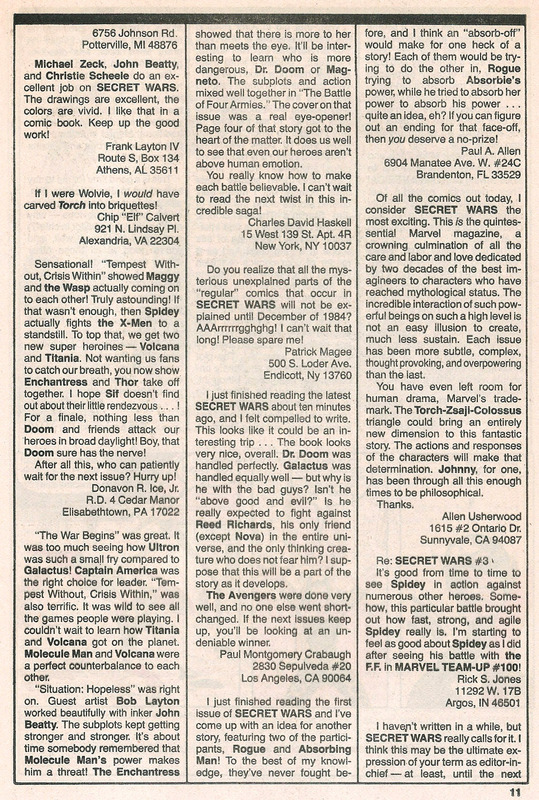 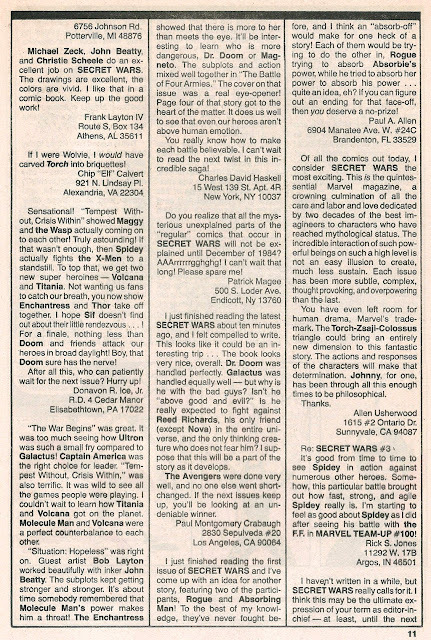 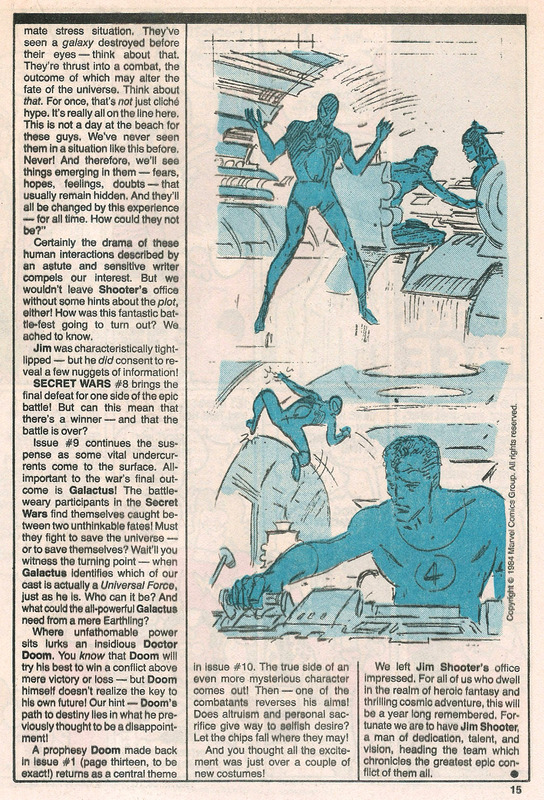 But it conspicuously (but not inexplicably) omits this piece of extended self-congratulation (concocted on the flimsy premise that the series itself lacked a letters page) that appeared in a later issue. 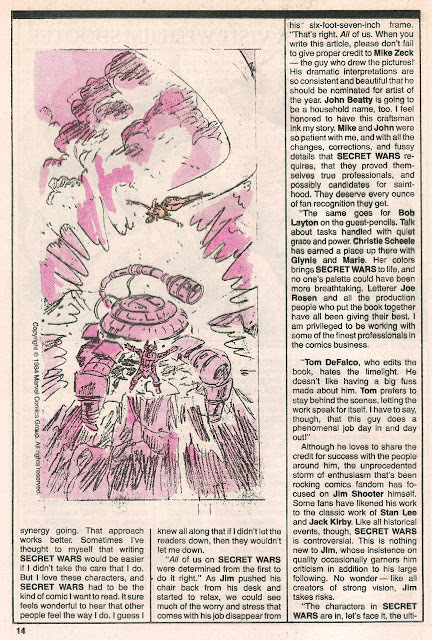 This Jim Shooter puff-piece was much derided by fandom who were less impressed with his commercially-minded (it sold bucket-loads) penmanship but also wanted to portray him as the great villain in Jack Kirby's war with Marvel over the return of his artwork.